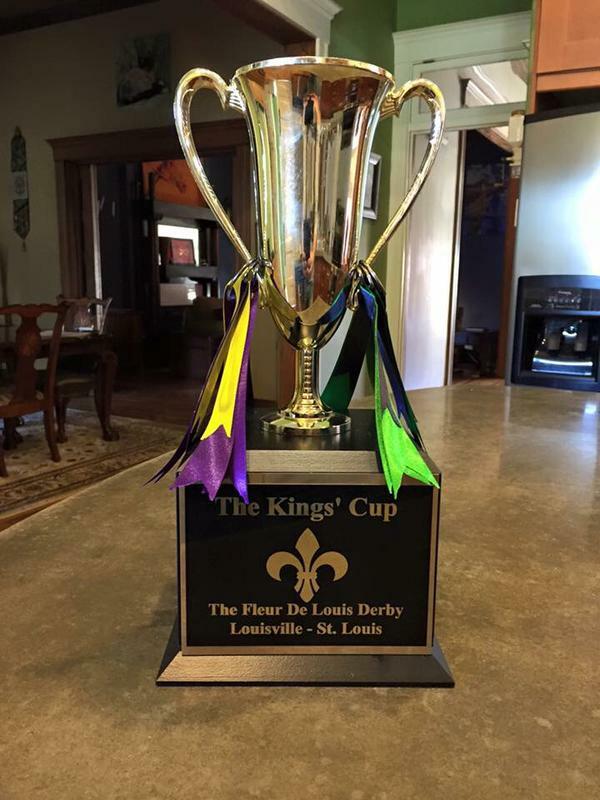 What’s up with the #KingsCup? 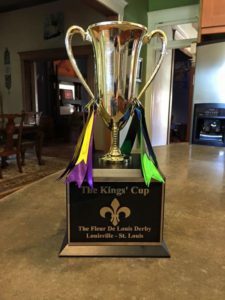 Louisville had a better season on the pitch than STLFC in almost every measurable facet in 2015, but the Rivalry actually lived up to the hype we gave it. The league loved it, the front offices loved it, the players loved it and most importantly the fans loved it. 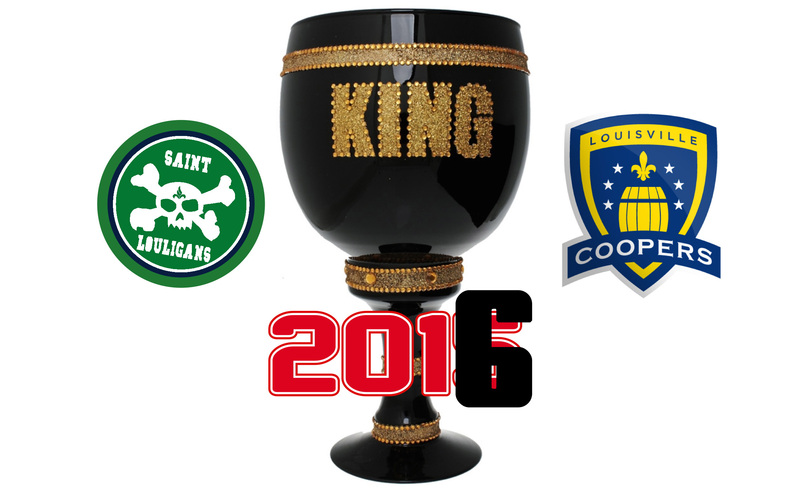 At the end of our 4 game series the point totals were even and it went to a tiebreaker of goal difference to give the Coopers the very first King’s Cup trophy. (Yes, it hurts but we’ll survive.) In addition to memorable matches and road trips we also had a lot of fun tailgating. We made some friends and some enemies, but more or less I think it was a great success. BUT… it also led to the great charity fundraiser #PizzaGate (long story) in which both groups raised a combined total of over $15,000 worth of meals for each city’s respective food banks. That was a bonus that I think both sides can and should take great pride in. And all of this was created by the fans. Not by the league, not by the teams. The Fans. That’s what makes this rivalry real. Fast forward to 2016. STLFC moved to the western conference of USL and LCFC stayed in the east. We only get a chance to play each other twice this season, but we’re keeping the rivalry going. 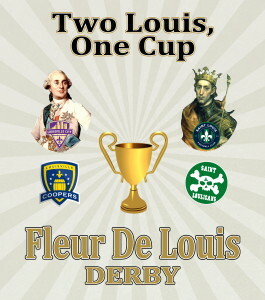 This weekend around 50 Louligans will make the trip to Slugger field to cheer on our boys. I’m sure the Purple family of Coopers, Heretics, Derby City Ultras, Teletubbies, Cornbread Ultras, Superheroes, Villians, Little Rascals, Goonies, Stooges, Coalition of like-minded fools, the Hive, Night’s Watch, Pond Scum, Purple People Eaters, Fantasy Factory, Bronies, Magic Schoolbus Drivers, Former Power Rangers, etc. will bring their party here when Louisville City visits St. Louis. One thing is certain. Fun will be had. The team with the most points from regular season matches between the two wins the Cup. Goal difference will serve as the first tiebreaker if the teams are tied on points, and away goals will be the second tiebreaker. If the teams are still tied after that, then the holder from the prior season keeps the Cup. So, as you watch this season unfold, hold a special place in your heart for the fixtures vs. Louisville City. Maybe more so than any other match, we want to beat THEM. Former Ticket Slinger Turned Tweet Slinger Takes a Seat! Best Way to Celebrate Scoring 4 Goals? Come on the Pod! We Try to Not Talk About the Obvious. Doesn’t Work. 2015 Player of the Year and The Newest Fathead Is On the Pod!